One of the newest WeChat features, WeChat Mini Program (WeChat MP) is a handy small app within the WeChat ecosystem. At first, only some large businesses were using WeChat MPs, but lately it became more mainstream; today, this feature is popular among all different types of companies, including startups and small and mid-size businesses. WeChat MP allows you to build an interactive online platform for your business where customers can access your products and services. Some examples of services run with WeChat mini-programs include booking of appointments for a medical treatment or massage, room reservation service, interactive language courses and e-commerce stores. WeChat MPs are practical and cost-effective: they work in a similar way to apps, but developing them is faster and cheaper because they are developed with common web technologies and are tightly integrated within the WeChat ecosystem. At REDSTAR, we have the right kind of knowledge and resources to provide support with launching WeChat MPs for different services, such as marketing, e-commerce, access to information and records and many other options. Our team can help you launch WeChat MPs, so that you can expand your reach and win more customers with your new online service. 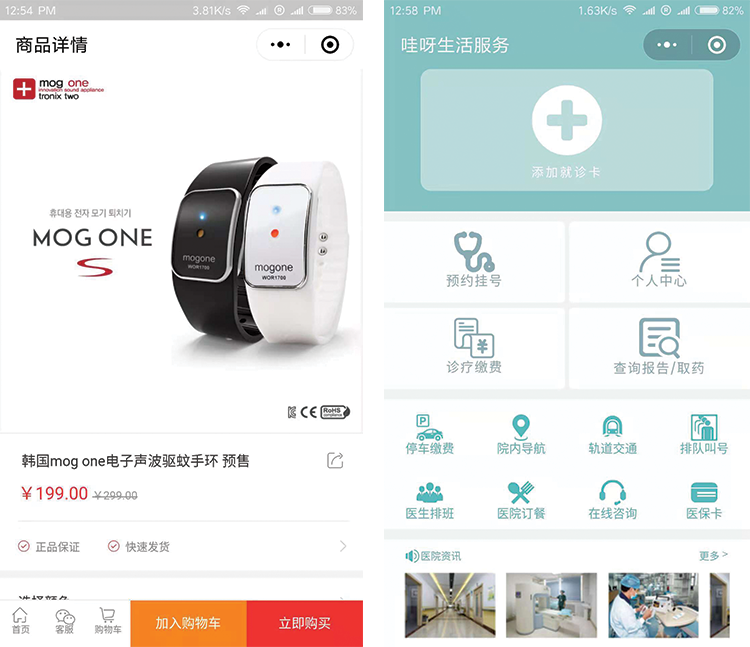 In the past, we have built different kinds of WeChat MPs for clients, including e-commerce solutions and a Chinese hospital online integration. Get in touch with us, so we can take care of building the WeChat MPs for your business.